Ekornes Stressless Free Accessory Sale on Recliners, Sofas and More. Purchase a New Stressless Recliner and Ottoman and get a Free Stressless Accessory. 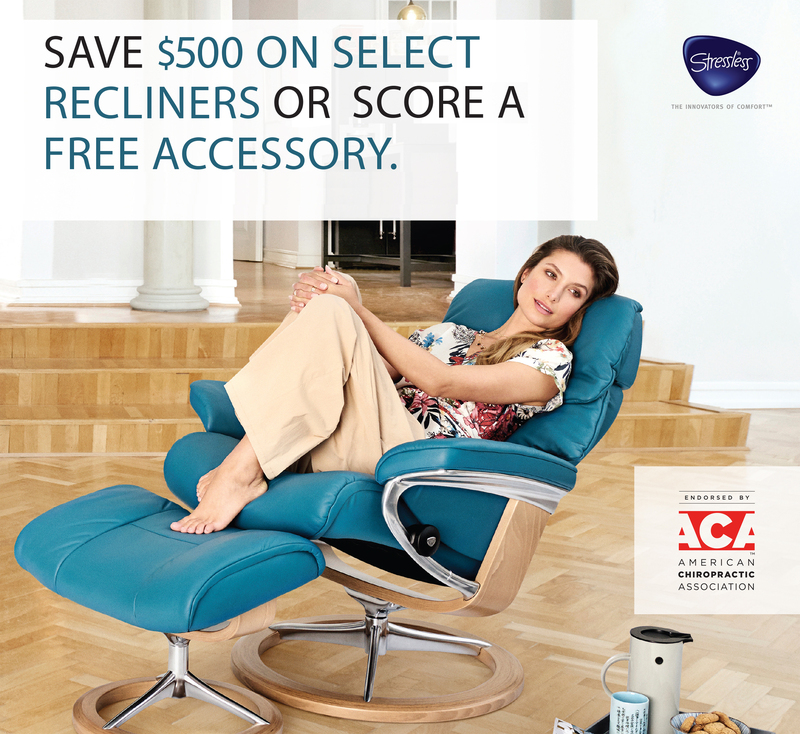 Or you can Purchase a Classic Recliner and get a free upgrade to a Signature or LegComfort Recliner. 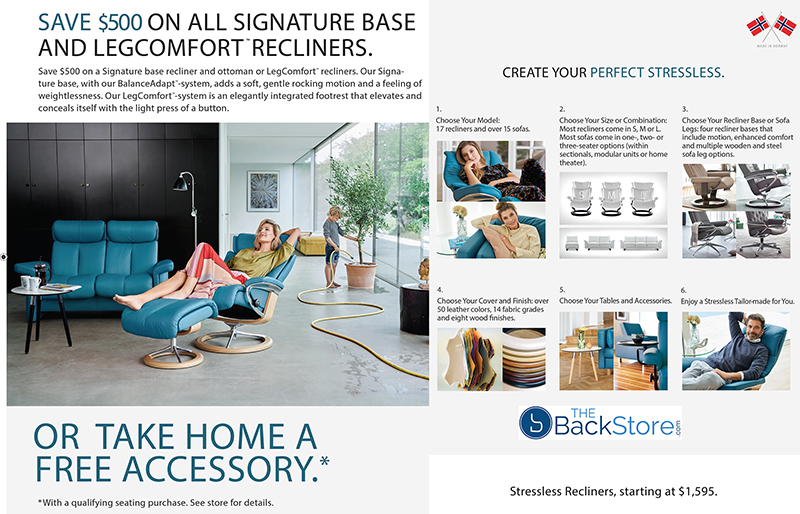 From April 12, 2019 through May 29, 20198 you can select a FREE accessory with the purchase of any New Stressless recliner and ottoman, Stressless Office, Stressless sofa/loveseat or Ekornes sofa/loveseat. Any accessory with an MRP at $595 or less qualifies as FREE. These qualifying accessories include the hardwood floor protector, elevator ring set, signature base elevator kit, LegComfort battery, corner table, ellipse table, style table, swing table, personal (computer) table, urban table small, USB Alpha table, USB Beta table, and uni headrest. OR Get $500 OFF - Purchase a Classic Recliner with Ottoman and get a FREE Upgrade to a Signature Base or LegComfort Base (A $500 Value). Qualifying accessories for Sofa/Loveseat sales include: The Windsor table, corner table, ellipse table, style table, enigma table, easy arm table, urban table small, urban table large, USB Alpha table, USB Beta table or any sofa headrest.